The war rages on, friends, between the emerging craft beer community in Florida and the hypocritical and corrupt puppets in our legislative body. Last week’s efforts to stop a terrible bill (SB1714) came up short as the bought-and-paid-for members of the Community Affairs Committee ignored comments and testimony and objections for the citizenry and voted 8-1 to push the bill through. It was a slap in the face to Florida breweries, and big middle finger to everyone who expressed concerns about the bill, and a sad reminder about how broken our system is. The bill’s sponsor, Lakeland Republican Kelli Stargel, was exposed for the fraud she is when pressed on the repercussions of the bill by fellow Republican, Jack Latvala of Clearwater. Stargel tried to stick to what were clearly talking points and rehearsed lines from her owners (the Florida Beer Wholesalers Association), but she could not avoid sounding absolutely ridiculous in her defense of the extortion-style tactics. And without allowing much input from the floor, they moved to a vote, and jammed it through. It was also distressing to see Eric Criss, president of the Beer Industry of Florida (the other big distributor lobbyist group) stand in support of the bill. It appears as though the powers that be in Big Beer have all decided to unite against the craft breweries they claim to support. UPDATE: Actually, just moments before I was about the post this, I read that apparently now Criss has reversed his position and is working to remove the requirement that breweries sell their packaged beer to distributors and then buy it back if they want to sell on premises. And Mitch Rubin (lobbyist for FBWA) is just as much of a liar and scoundrel as ever. Read the article here. But all is not lost. 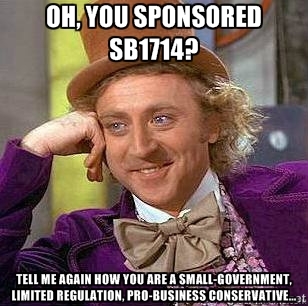 According to most legal experts, SB1714 is pretty much dead anyway. Even if it does come up to the full Senate, there is no accompanying House bill, since HB1329 was essentially stripped to nothing, and there are only a few weeks left in the legislative session. My guess is there is no stomach for this right now, and the general consensus is that there are more pressing issues to address. So another session will pass with nothing done, but I like to think the attention being paid in state and national media to this issue might make some people wake up and demand better from their elected officials. It is easy to forget in all of this craft beer activism what we are fighting for. The men and women who built the businesses we visit, brew the beer we love, and put on the events we attend. The craft breweries of Florida. Even with all of the ridiculous maneuvering in Tallahassee, the industry and culture is booming in the Sunshine State. 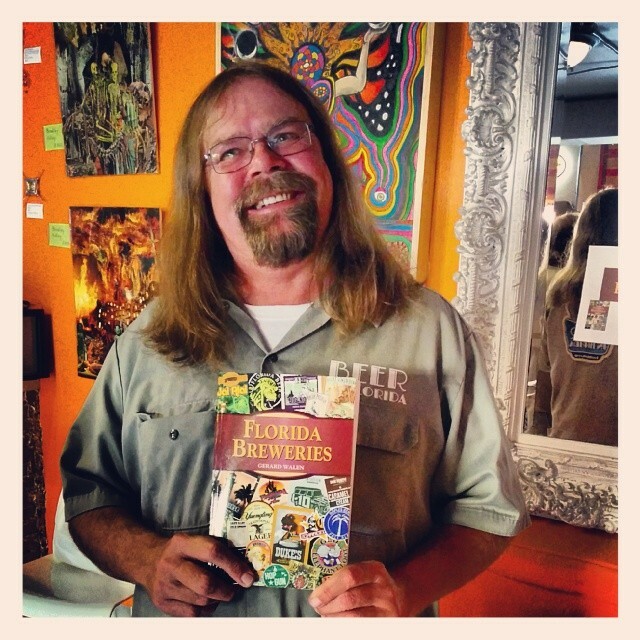 My good friend and fellow blogger Gerard Walen (not Gerald Whalen) just released his first book, Florida Breweries. it is an in-depth look at the breweries across the state, their histories, and even recommendations from beers at each one! If you want to be in the know about where to drink Florida’s best beers, you have to pick this book up. My guess is he will have to write a sequel, though. I believe that at the time the book got printed, there were only 66 breweries in Florida, and estimates are that we’ll have over 100 by the end of the year. Gerard has been doing release parties around the state and signing copies for people, so go check him out! 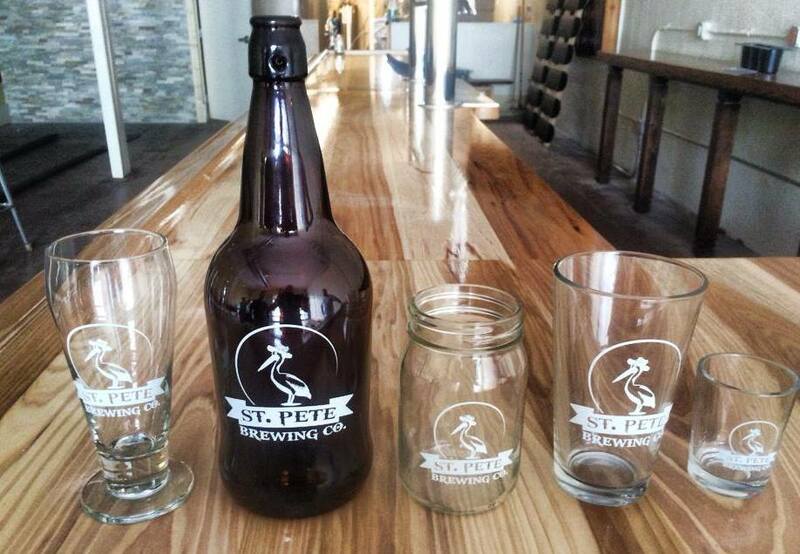 And speaking of new breweries opening, St. Pete Brewing Company had a soft opening last week, making it the fourth in the downtown area! I got to stop in and check it out and was happy with the relaxed atmosphere, family-friendly setting, and of course, the delicious beers! The Milo’s IPA was great, and a friend of mine said their Grateful Stout was “the best non-barrel-aged stout in town”. High praise, I would say! Looks like it will be a fun party! And another brewery to add to the growing list. In the grand scheme of things, we have a lot to be happy about, Florida beer lovers. We have a growing industry that is providing not only jobs and actual dollars in our communities, but we are also building a culture and network of citizens who can come together and celebrate this positive growth. The stronger we become, the more influence we can wield, and hopefully turn the tide against the big-money special interests. I plan on offering some suggestions for different courses of action over the next few weeks that we can all take part in to move our cause forward. I hope you’ll be part of it! ~ by Sean Nordquist on April 16, 2014. Sean, always a thoughtful and well-researched post! Blog on!